When you are reading God’s Word it’s important to answer the question: how can you understand it, as it was intended to be understood? Meaning, sometime we can read God’s Word and walk away with a different ideas then what God ever desired for us to have. In fact, we can believe something heretical about him because we had an incorrect assumption within Scripture. So there’s a few things that you can do to best understand God’s word. I want to encourage you in a few of those ways. The first is you need to ask some important questions. Understand, God’s Word was written to an original audience, based on certain needs at that time. So to best understand what a passage of Scripture means, you must first answer the question: what did it mean for the original audience for which it was written? The Bible can never mean more to you than it was intended to mean to the original audience to which it was written. So starting with the question, “what did it mean to the original audience?” is important. In fact, sometimes you may need to pull out some commentary to ask that question. I would encourage you to go to the website gotquestions.org, if you got a question about a specific passage, and ask that specific question. Or you can download some different tools online. For instance, the Blue Letter Bible or eSword gives you an app to download, where it’s got commentary to explain certain passages, to help you best understand it. It means something to the original audience. Then you can answer the question, “what does it mean to me?”, with the understanding that God’s word can never mean more to you than what it was intended to mean to the original audience. What does that passage mean to you? How does it relate to you today? The third thing that you can answer is, what do I do in light of this passage? Is there something in my life I need to believe more? Is there something in my life I need to change? Is there something in my life I should act upon? Is there something I need to continue to encourage? What do I do now that I’ve answer the question, what does this passage mean to me, because I’ve answered the question, what does it mean to the original audience to which it was written. As you’re going through God’s word, I would encourage you to get with a body of believers who are pursuing those same questions with you. Ask them. 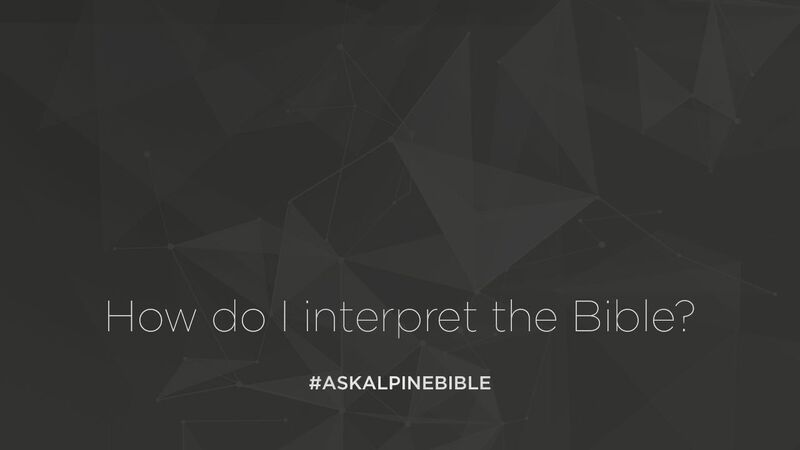 Find out what kind of answers they gave to this passage of Scripture. God never meant for you to study God’s word just by yourself. He created us for community, relationship with him and relationship with each other. Dive into that relationship with each other as you are enjoying God’s Word and ask those questions. Grow in your understanding of God, and let it apply to your heart so it transforms your life.